Sorry folks! 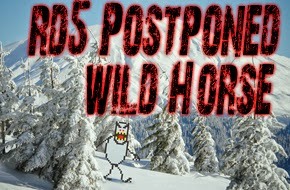 Due to excess snow, (as much as 2 feet) and extreme wet conditions, this weekends race of Sep 13-14 will NOT be running. Road access and conditions very poor and even with expected high temperatures and sunshine, area will be too saturated to run event. Ken & Barry will let us know soon if they feel we can run event at a later date. Overalls for the Club series will be posted by tomorrow evening.